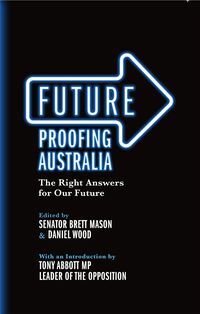 Senator Brett Mason is the Shadow Minister for Universities and Research and a Liberal National Party Senator for Queensland. First elected to the federal Parliament in 1998, Brett served on John Howard's front bench as Tony Abbott's Parliamentary Secretary in the Health and Ageing portfolio during the final year of the Howard Government. Since then, he has been appointed to various positions within the Education Shadow Portfolio with responsibility for education, universities, research, science and innovation. Before entering Parliament, Brett lectured in criminology at QUT and served as a Commonwealth Prosecutor. He is the author of Privacy Without Principle: the uses and abuses of privacy law in Australia.